Bionic Arms and Legs by Anvilindustries, all the rest by Forge World. The Iron Hands chapter came to my attention when reading the fantastic Fulgrim novel by Graham McNeal. 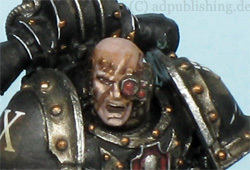 The story of there steadfast Primarch Ferrus Manus was much to my liking. More or less by accident I painted two minis in their colours using the really good conversion parts of Anvilindustires. Since I was delighted how fast I could paint them I finished 5 Marines. 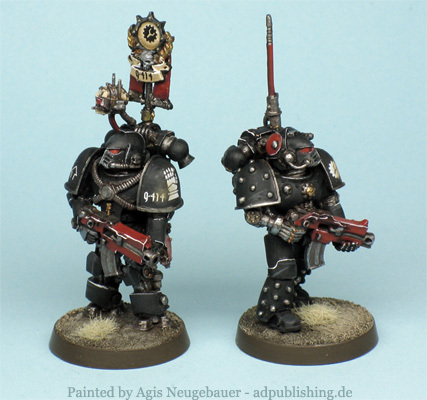 At that time the first FW Iron Hands previews came around - and whuups - I was hooked! 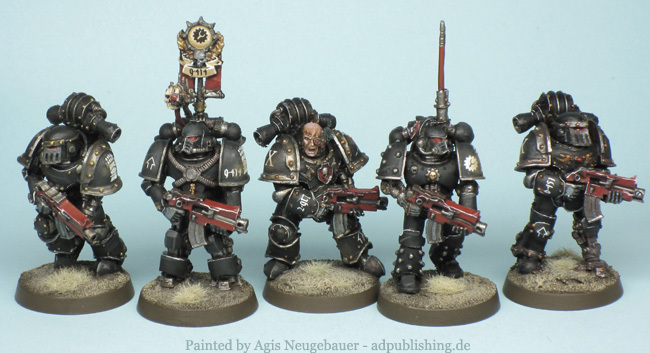 The Iron Hands are a Loyalist Space Marines Chapter and one of the original First Founding Space Marine Legions created from the geneseed of their martyred Primarch, Ferrus Manus.